We were selected as one of six architects for this RIBA administered competition for approx 500 undergraduate student residences at Warwick University . The site is open grassland on the southern edge of the campus blending into surrounding countryside. 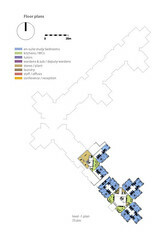 The University was anticipating accommodating considerably more students on the site than the Planning authority was expecting and so we took the position that we should leave most of the site untouched and concentrate the new building as a perimeter L-shaped block along the north and west boundaries. 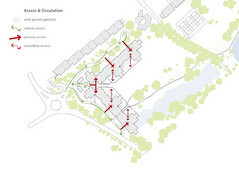 The design also extended southwards beyond the official site boundary into an area known as 'the ponds' , and we proposed extending the most westerly of these man-made ponds to meet the most southerly student rooms. 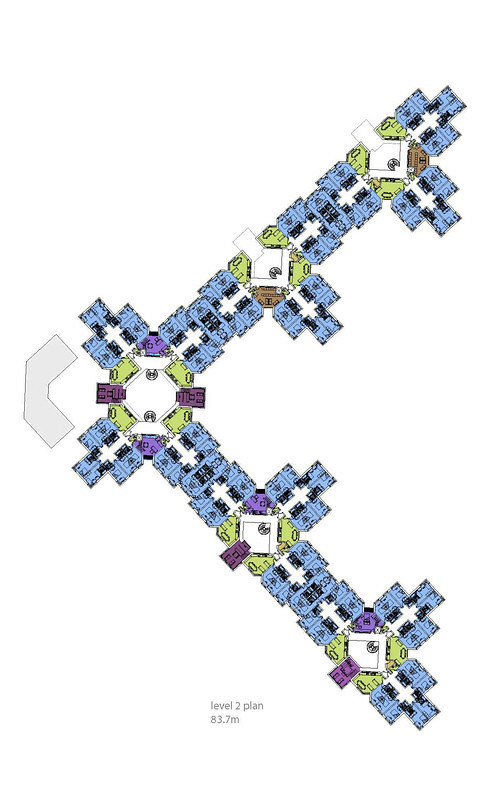 The brief asked for 62 flats consisting each of eight undergraduate student rooms and a communal kitchen/dining room with all flats to have disabled access. 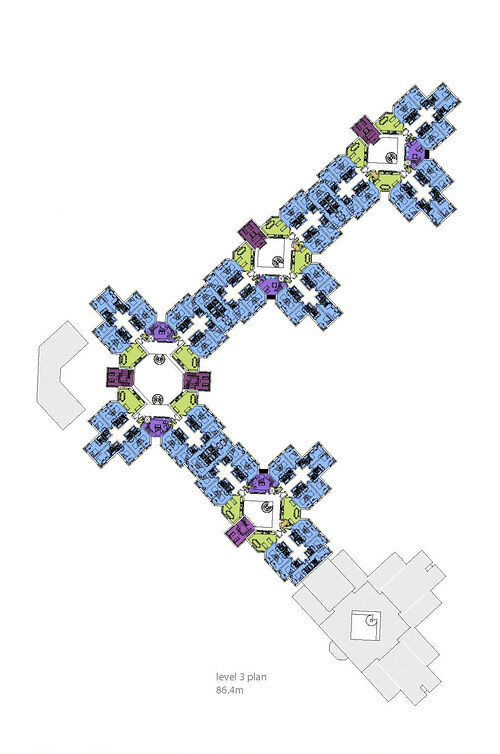 The whole complex should also be designed for conference use. 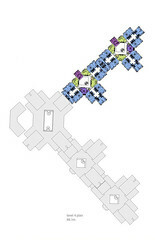 Tutors, wardens and sub-wardens were to be distributed amongst the students. 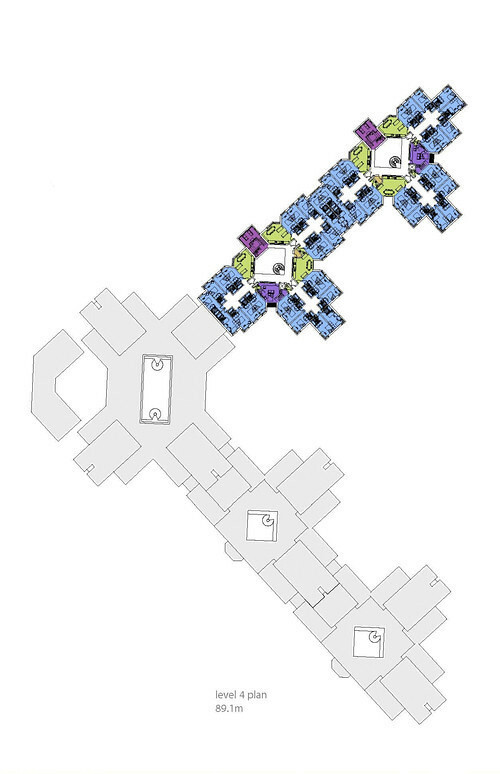 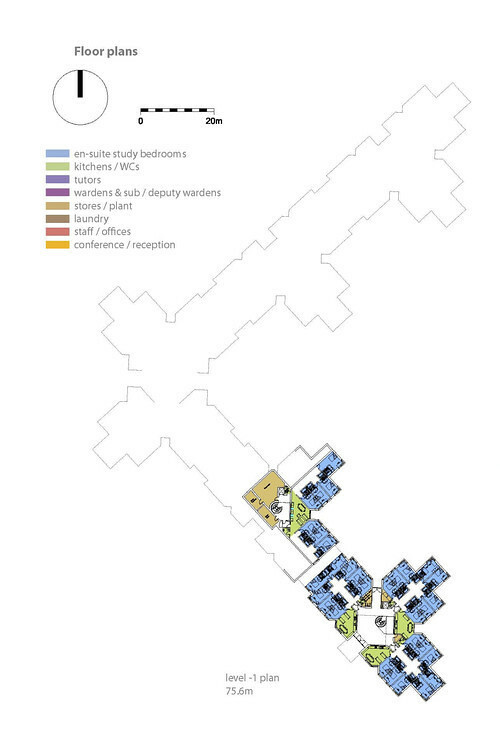 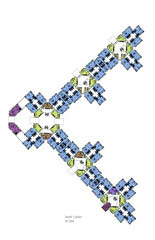 Our proposal eschewed the 'corridor' model prevalent on the campus by creating clusters of flats around four storey open courtyards, with particular care devoted to cross views between kitchens to ensure as much social interaction and supervision between flats in a single courtyard as possible. Above a two storey gateway to each courtyard is placed a sub warden's maisonette flat. 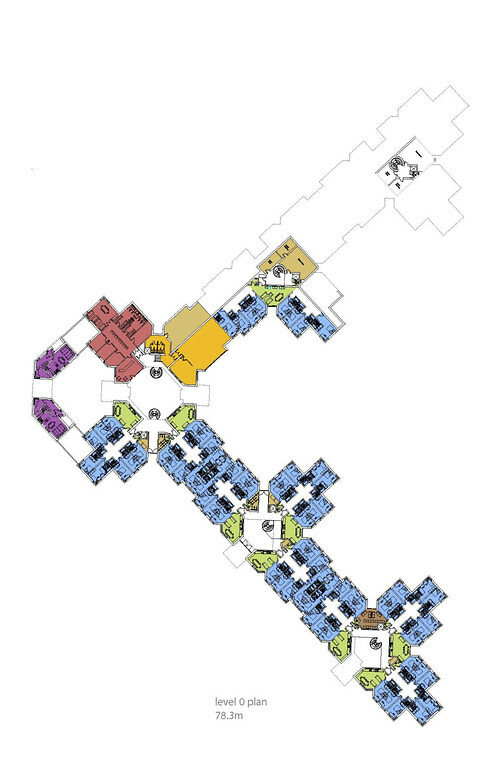 At the corner of the 'L' is the main arrival courtyard, wardens' houses and conference facilities and administration. 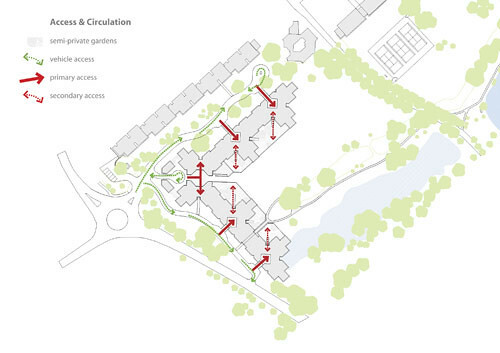 Raised gardens were placed on the landscape side of the block leading to the general lawns beyond. 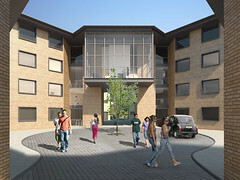 Our competition entry was place second by the jury.